This photograph has been scaled down; full resolution photograph is available here (2,840 by 2,956 pixels). World War II Scrapbook: The War is Over! A kiss made her famous. Edith Shain worked as a nurse in New York City, and became a American icon, on August 14, 1945. On that day, Life magazine photographed her being kissed by a sailor in Times Square during celebrations of news, of the Japanese surrender. Today at 91, Shain is one of the national spokespersons for: "Keep the Spirit of '45 Alive" Over the years many men have come forward as the sailor. If anyone has more information pass it on to the ww2db.
" 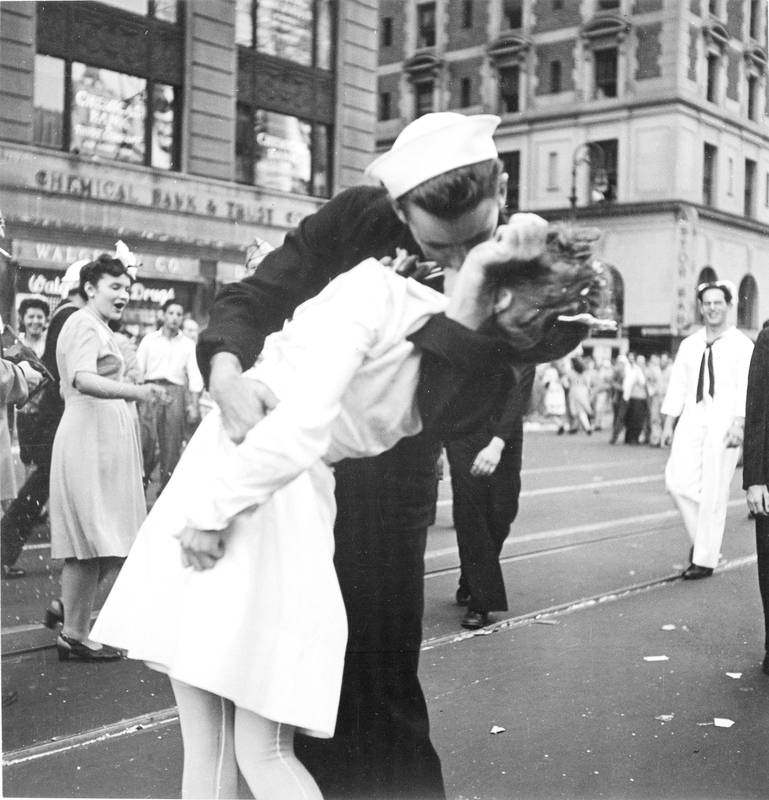 The Kiss Known Round The World " Edith Shain the nurse who was kissed by a sailor in Times Square, August 14, 1945 has died at her home in Los Angeles, California June 23, 2010, she was 91. The sailor has never been identified,However many have claimed to be that sailor. Edith continued working to help care for Veterans. She spent most of her life teaching in Los Angeles public schools. She is survived by: Her three sons, six grandchildern and eight great grandchildern. She became an American icon, and that spontaneous kiss became history.